Everyday in California, unwanted or expired medicine is disposed of down the toilet. While this was once recommended practice to protect children and pets from accidental poisonings, studies show that pharmaceuticals can pass through wastewater treatment facilities into creeks, rivers, bays and oceans. In 2002, the U.S. Geological Survey reported that there were pharmaceutical compounds in 80% of waterways tested. Because many of these compounds are designed to be effective in small doses, there is concern that they may have impacts on water quality and wildlife. Disposing of pharmaceutical wastes – including prescription drugs, over the counter medications and veterinary drugs – into your sink or toilet is no longer acceptable and can potentially harm our ocean environment. The Santa Barbara Sheriff’s Department and Santa Barbara County Public Works have teamed up to install dropboxes to dispose of unused or expired pharmaceutical wastes at the nine Sheriff’s substations throughout Santa Barbara county. For more information about Operation Medicine Cabinet, click here, or go to the Santa Barbara County Sheriff’s website at www.sbsheriff.org. Grease is a problem. In the sewage collection and treatment business, grease is singled out for special attention because of its poor solubility in water and its tendency to separate from the liquid solution. 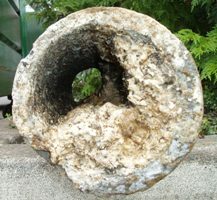 Large amounts of oil and grease in the wastewater cause trouble in the collection system pipes and the wastewater treatment plant. It decreases pipe capacity and, therefore, requires that piping systems be cleaned more often and/ or some piping to be replaced sooner than otherwise expected. Grease in a warm liquid may not appear harmful. But, as the liquid cools, the grease or fat congeals and causes nauseous mats on the surface of settling tanks, digesters, and the interior of pipes and other surfaces which may cause a shutdown of treatment plant units or messy backups in your home or business. 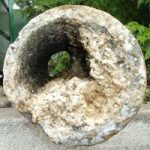 The scope and purpose of the District’s Grease Control Program is to aid in the prevention of sanitary sewer blockages, obstructions and sanitary sewer overflows. The program establishes uniform permitting, maintenance and monitoring requirements for controlling the discharge of grease from food service facilities discharging into the District’s wastewater collection system. Grease interceptors or in-line interior grease traps shall be required for all food service facilities which would contribute or cause to contribute, directly or indirectly, any water or wastewater which contains fats, oils and grease, including but not limited to, restaurants, cafeteria, cafes, fast food outlets, schools, fraternal organizations, churches, hospitals, and daycare centers which have the capability to engage in food preparation. To obtain a Grease Control Permit for your business please call the District office at (805) 684-7214. The District implements a Source Control Program and issues permits to certain types of industrial and commercial users. The District performs monitoring to assess compliance with Federal and local discharge limits, and periodically inspects industrial and commercial facilities that may have the potential to discharge harmful or toxic substances into the sewer system. District ordinances establish requirements for discharges into the wastewater collection system and enable the District to comply with the provisions of the Federal Clean Water Act and the water quality requirements set by the California Regional Water Quality Control Board.